Lehman’s collapse was a stark warning of the need to handle cross-border bankruptcies better. Yet three years on, Jon Corzine’s failed brokerage shows little has changed. It’s even accused of mishandling customer accounts, a basic error. Watchdogs need yet more remedial lessons. The biggest independent U.S. oil refiner reported a quadrupling of profit and has been buying back stock. After lean years, investors deserve a return. But the cheap U.S. crude that has been helping margins won’t last forever. Valero could do more to brace for harder times ahead. To hand Eugene Isenberg that much just to give up one of two titles seems absurd. But the board was stuck with a 1987 contract and did reduce his golden parachute. Even so, Nabors has underperformed for a decade. It shows the danger of companies binding themselves too far ahead. The movement that started in lower Manhattan has rightly put attention onto America’s wealthy. And though the Tea Party started out just as ragtag, it’s hard to see Occupy Wall Street catching on the same way politically. Deficits are an easier pitch than inequality. That, at least, is the message from the Moogfest, which took place in Asheville, North Carolina, this past weekend. Aside from giving synthesizer geeks an outlet, Rob Cox found the three-day festival making good use of Asheville’s facilities and boosting local businesses. Adding the complex proposal to sweeping financial regulation looked like overkill to some at the time. But the bankruptcy of the brokerage run by Jon Corzine suggests otherwise. MF Global reinforces the idea that prop trading belongs where its damage to the system can be limited. It could be that’s what biographer Walter Isaacson intended. His book provides plenty of new material from the Apple co-founder and those around him. But this early, authorized tome leaves to others any serious verdict on the man or the sustainability of his business legacy. Third-quarter profit more than doubled at the $220 bln energy giant, justifying the strength of its shares. Its U.S. operations are relatively free of infrastructure constraints that have hit crude prices for others. The advantage will fade, but Chevron is milking it for now. Andrea Jung may be a powerful figure in U.S. business, but as CEO of the $8 bln cosmetics company she has twice failed to turn it around. Never mind the federal probe into possible wrongdoing, Avon’s dismal performance is reason enough for Jung to give someone else a chance. Many legislators want the government out of housing. Fair enough. But a look at the private business of mortgage insurance serves as a reminder that the private sector also needs an overhaul. Former highflier PMI’s takeover by regulators last week is a case in point. Arthur Andersen sealed its fate when it shredded Enron documents 10 years ago. But prosecutorial zeal may have created a moral hazard monster. Concerns that the world can’t afford to lose another green eyeshade run the risk of diluting standards in the industry. The outgoing chief executive of the U.S. mortgage finance behemoth stood to make up to $6 mln a year. But times are, or at least should be, a lot tougher now. A new CEO needs administrative skills, a thick skin and little to no ambition. Breakingviews suggests a help wanted ad. Losing the minister of sport to scandal seems the least of President Dilma Rousseff’s worries amid an increasingly troubled coalition. But it may be a symbolically significant opportunity. Restoring broader trust could start with soccer, Brazil’s epicenter of national pride. Lazard has long hated being grouped with its smaller brethren. Now, after another quarterly earnings record, Evercore’s bristling at the label, too. Their rise in M&A makes them much stronger rivals to the bulge bracket. But their niche nature means the boutique shoe still fits. Alongside a 41 pct profit surge, the $400 bln energy group’s third quarter showed a further rise in gas output relative to oil. That may set Exxon up for the future. But for now, with crude pricier than gas, it could help explain its shrinking valuation premium to oilier Chevron. The first estimate of third-quarter GDP puts it a scant 0.2 pct above the previous peak, in 2007. But 2.5 pct growth is high enough to calm fears of a double-dip. Even though consumers remain squeezed - real disposable personal income fell - Obama’s 2012 prospects look brighter. Nuance Communications has built an $8 bln market cap by getting machines to understand talk. Its technology may even be behind speech recognition in the new iPhone. But its sky-high valuation multiple requires too much trust considering its complex finances and acquisitive ways. The $1 trln U.S. student loan market fuels soaring tuition fees and leaves taxpayers on the hook for default. The president’s move to lighten the burden on graduates will only increase defaults. And taxpayers are already getting scant return for rising college subsidies. 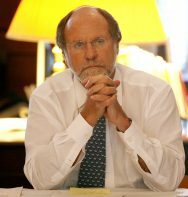 Dealing with rising costs, prop trading pain and capital concerns helped elevate Corzine to the top job at Goldman in 1994. Now he’s facing similar issues running MF Global. His experience should help, but the brokerage’s turnaround story is a tougher sell than Goldman’s was.